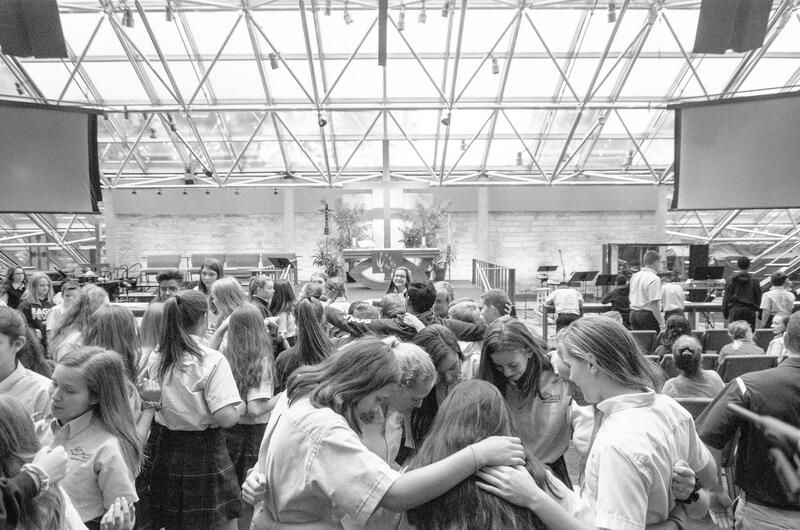 In Middle School weekly chapel services students and staff members come together in a collaborative way to renew, deepen, and expand their faith. Setting aside time each week, as a group, to focus on God's word is a special time of reflection. Students take an active role in worship. School families and visitors are invited to attend chapel.